Mobile ad hoc network (MANET) is a group of self-organised nodes which behaves as a transceiver. The data will pass through intermediate nodes from a source node to the destination node using communication links. The main problem arises if the communication link is broken or going to be broken soon. A new algorithm is proposed that uses a link failure avoidance mechanism (LFAM) and a route availability check mechanism (RACM), for the development of a new secure and efficient AODV routing protocol. The goal of a LFAM mechanism is to locate a new path to the preferred destination when the connection to the next hop is going to be broken and the RACM mechanism is to find an alternate route to the destination. In wireless computer network, wireless data connections are required to connect different network nodes. The installation of a wireless computer network evades the process of costly cables between the network nodes instead of it wireless computer network uses radio communication for the implementation and administration. There are three categories of wireless computer networks: Wide area networks which can be created by cellular carriers, Wireless local area networks which can be created by the user and Personal area networks that create themselves. These three categories are required to create the wireless solutions independently or in different combinations as explained in Akyildiz (2002). In Wireless Networks the routing decisions and resource management are simple because of the presence of base station. Base station works as a centralized controller which is used to take all the decisions regarding destination node. But in Ad hoc Wireless Network all nodes are synchronized and use distributed approach to facilitate communication between them. All the nodes work as an intelligent device which are capable of transmitting as well as receiving the information means they act as an intelligent router which is capable of routing the data packets. Mobile Ad hoc networks can be stated as a class of infrastructure less wireless networks that that are capable of forwarding and receiving data packets by using multi-hop radio relaying. There are some major differences between wireless network and Mobile Ad hoc network as follows. 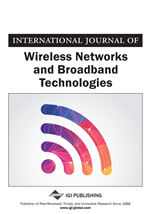 Wireless networks use a single hop wireless link but MANET has multi-hop wireless links as stated in Banerjee & Misra (2002). Wireless networks are designed for voice traffic as they use the shared radio channels which are more appropriate for data traffic. Wireless networks use a centralized routing and transfer packets by using circuit switching with low drops during handoffs while MANET uses distributed routing and there are frequent path breaks due to mobility of the nodes. Wireless networks reuse the frequency spectrum through a geographical channel reuse and here it is easier to achieve time synchronization but MANET reuses the vibrant frequency based on carrier sense technique and time synchronization is difficult and consume bandwidth. MANET is an arrangement with no explicit transportation where mobile devices or nodes are equipped with transmitter and receiver both. Each node behaves as a router for the communication and packet can be transmitted directly or through some intermediate nodes after the establishment of the routes. There are three classifications of the MANET protocols: First is Proactive Routing Protocol which keeps the routing in sequence even ahead of it is required. Second is Reactive Routing Protocol, they don’t keep routing information if there is no message. Reactive Routing Protocol will find out the route only if any node needs to exchange data with other nodes. The third one is Hybrid Routing Protocol which is the mixture of the previous two. An ad hoc wireless network uses wireless links in haphazardly changing topology to connect the set of mobile nodes (hosts). MANET protocols face challenges like: Mobility; due to dynamic configuration of network, Bandwidth Constraint; because in MANET the radio band is limited, Error-Prone Shared Broadcast Radio Channel; wireless links in MANET have time changing properties in terms of link capacity and link-error probability. This requires that the MANET routing protocol finds some other path through better quality links. In MANET the transmission results in the collision of data and control packets. Therefore, it is requisite that MANET routing protocol should find routes with less congestion as shown in Fard (2011). Resource constraints; because battery life and processing power are the major constraint in MANET. The devices in the MANET also have dimension and heaviness limitations along with the control on the power source. If the battery power as well as processing ability increases, this will result in the nodes bulky and less portable. Therefore, it is the responsibility of the MANET routing protocol to manage these resources optimally.